exceeded many of the key parameters. 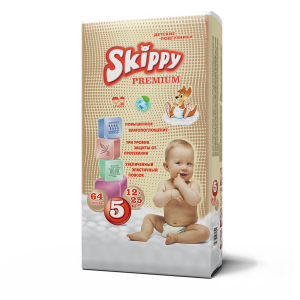 The main feature of Skippy Premium is improved comfort for the baby. The wide and soft, elastic waistband can be stretched to increase the total diaper length by 30%, giving the unique feeling of lightness and comfort, whether your baby is active or asleep. Every diaper has a unique color theme that allows for easy size recognition. 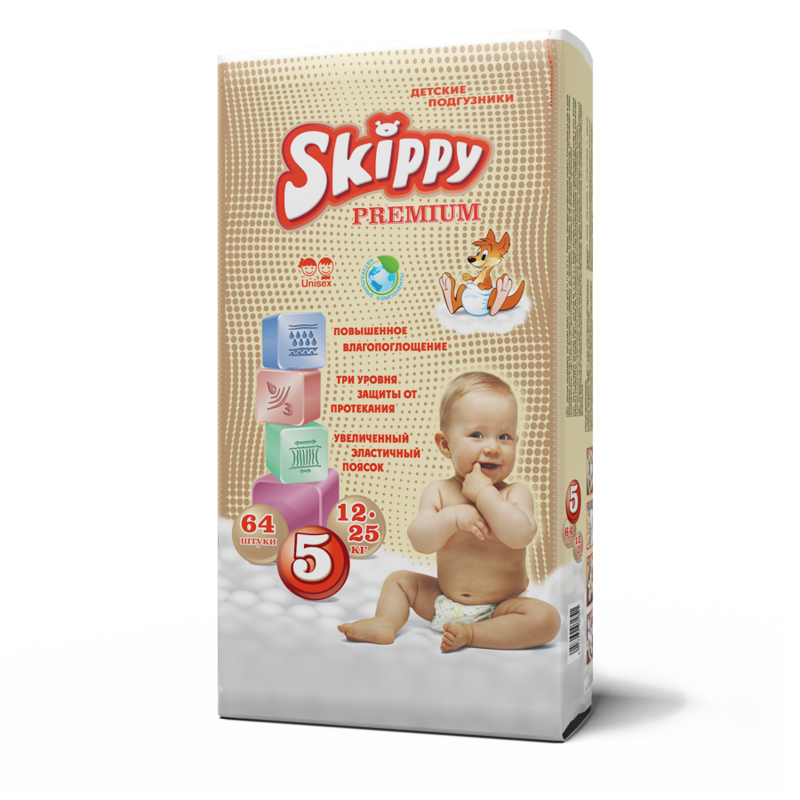 We added a higher amount of absorbent-polymers that provide increased wetness absorption and guarantee the clothes, bed, and your baby stay clean and dry. The comfortable inner layer quickly and easily absorbs wetness, keeping the baby’s skin soft, smooth, and allergy-free. The one-of-a-kind anatomic shape prevents unwanted leaks and provides the baby with a snug and comfortable fit without irritation.